I’d cheerfully spend an early-morning hour or two at Chenonceau every day for a week or two (maybe they have season passes?) For me, as for most visitors, I think the exquisite details get lost in the jaw-dropping gorgeousness of the architecture. But I love the details, like this musical mermaid in stone. I think this architectural detail is called a corbel, a stone carving appearing here at the base of one of the basement ceiling arches. Very appropriate for a party chateau spanning a river! How about this friendly stone face? Maybe he’s a monk? Or a baker? Or a baker monk? How about an angel? These three figures are all in the kitchen, decorating and supporting its vaulted ceiling. I don’t know how many of them are original and how many were part of the great renovation that began in the 1950s. I love them all. 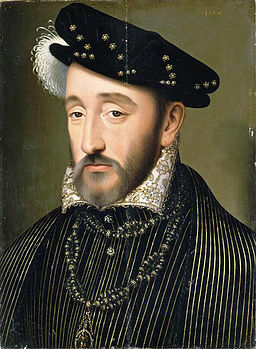 I’d cheerfully spend a few hours in Diane de Poitiers’ kitchen whipping up a meal fit for a royal favorite. Maybe I’d even figure out how to use the turn-the-spit contraption over the fire. It has a counterweight outside a window, just above the surface of the river. But wait, I don’t eat any meat. I wouldn’t be great at roasting a boar. Kings and queens and nobles had a grand time hunting in the nearby woods–which still exist. I’d probably do better as the pastry chef. Wait, Madame is ringing for somebody! Up the stairs! Is there a servants’ stairway for the likes of me? I can’t find one. I guess I’ll have to head up the main staircase. It has just one turn, an innovation at the time. 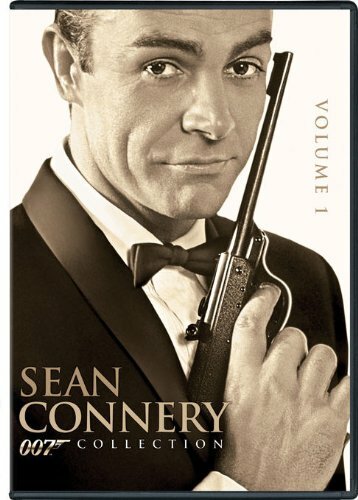 And excellent for showing off one of Diane’s exquisite gowns, no doubt with a well-shaped ankle showing off on each step. She kept her beauty well into what most of us think of as the beginning of old age. Well, now that I’m upstairs, I’ll just wander, admiring the beautiful details, like the lady in this tapestry. The hallway ceilings are arched like those in the kitchen. In the rooms to either side, the ceilings are elaborately beamed and painted. 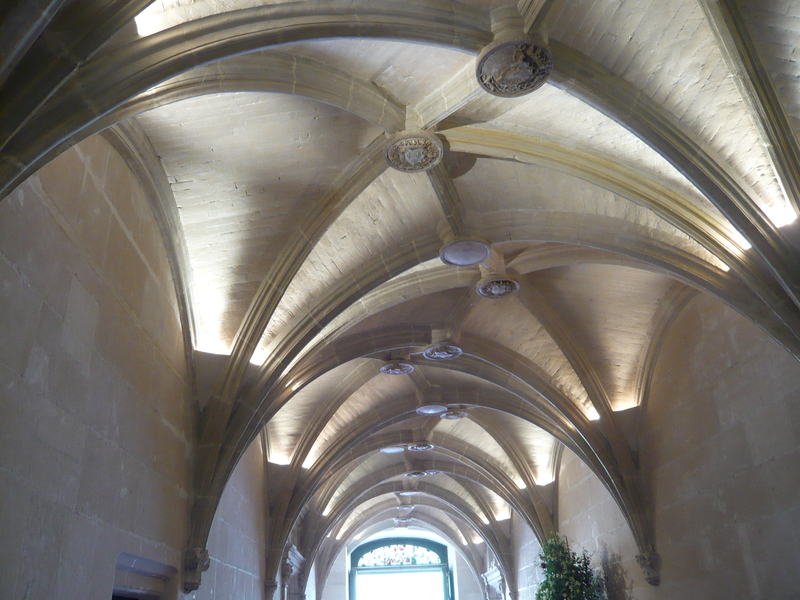 Many ceilings are paneled in geometric sections. What meal wouldn’t taste wonderful at this dining table? There’s beautiful and evocative furniture in every room. 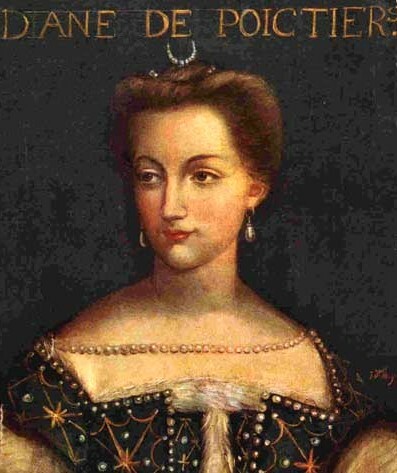 Diane de Poitiers never had to haul a dresser home from Ikea and figure out how to put it together, that’s for sure. And even her floors are beautiful. Fireplaces were not only spectacular, but no doubt well tended in Diane’s day. 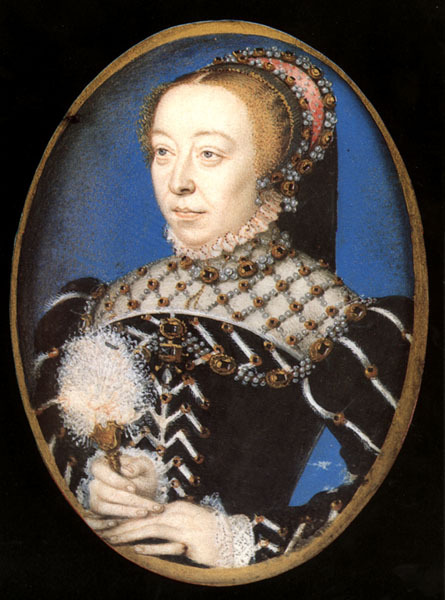 Today, Catherine de Medici’s gallery holds a fascinating series of displays about the chateau’s history, starting in medieval times and going all the way up to the present. 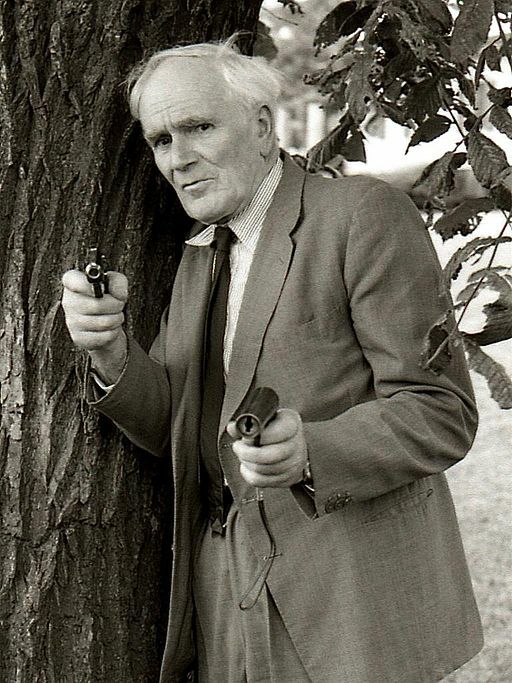 …to the grander ones above stairs. Well, I’m heading out to the gardens on a sunny day, with one last look up at the original medieval tower on the riverbank. I’ll say hello to the Sphinx on my way out. 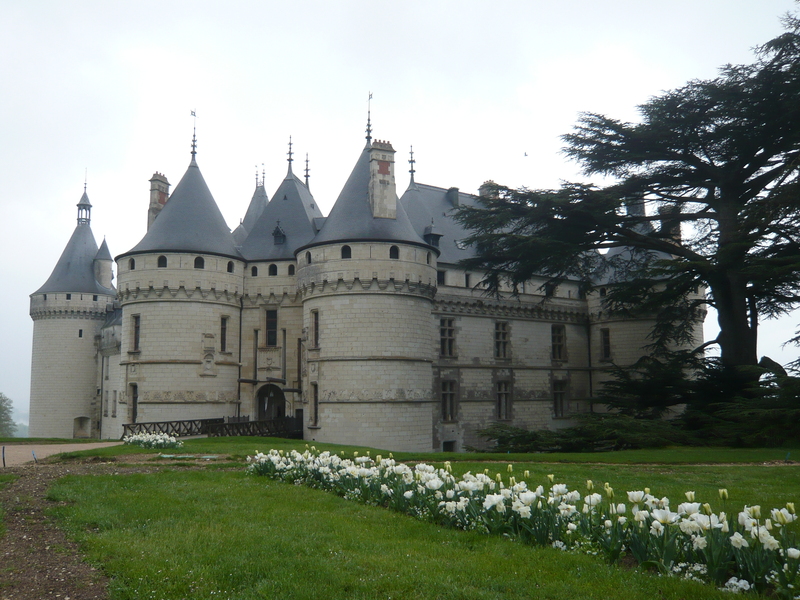 This entry was posted in Architecture, Castles and Palaces, France, Historic Homes, Historical Figures, Why I Love France and tagged Catherine de Medici, Chateau de Chenonceau, Diane de Poitiers on October 23, 2018 by Claudia Suzan Carley. Rumbling up the drive in a carriage, here is what the long-ago aristocratic visitor would have seen. I suppose a line of nicely-turned-out servants would have stood at the ready, to haul in trunks. 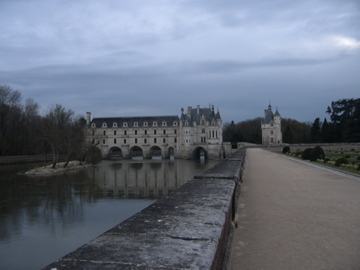 From this angle, Chenonceau looks like a hundred other chateaux all across France. But wait, there’s more! 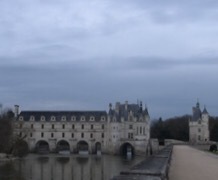 Chenonceau is the only chateau I know of that was actually built spanning an entire river. It stops just a short hop from the opposite bank. (During World War II, the River Cher was the border between Nazi-occupied and Vichy France. Prisoner exchanges and who knows what else took place here). Back in 1514-1522 when the present chateau was built, I don’t know why everyone else didn’t run out and build one like it. I guess not everyone owned access to a river, or had the means to accomplish this feat of engineering. The visitor enters Chenonceau the same way royalty did in days long gone: through a supremely French-looking courtyard and facade. As always, I find the details of Chenonceau every bit as enchanting as the overall dreamy effect of this pleasure palace built over a serene river. 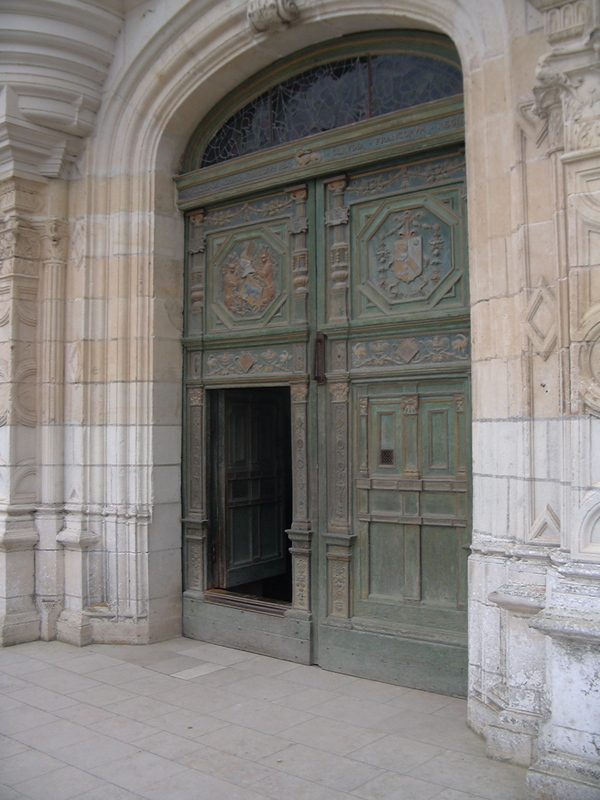 The grand entry door has a person-sized smaller door within it, for visitors who don’t need to make a grand entrance. I didn’t have a sweeping ball gown, so the small door worked for me. 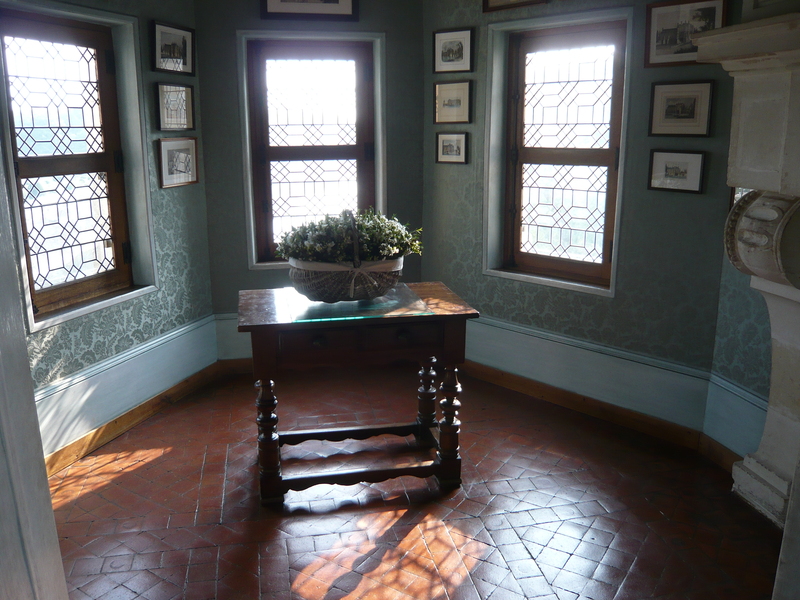 Fresh flowers from the gardens outside decorate all the rooms. This was a study, overlooking the gently flowing river. I’m not sure I’d get much work done here. This stairway was reportedly one of the first that was not a cramped spiral. Guests must have enjoyed sweeping grandly up and down this staircase. The entire chateau is wonderfully light and airy. 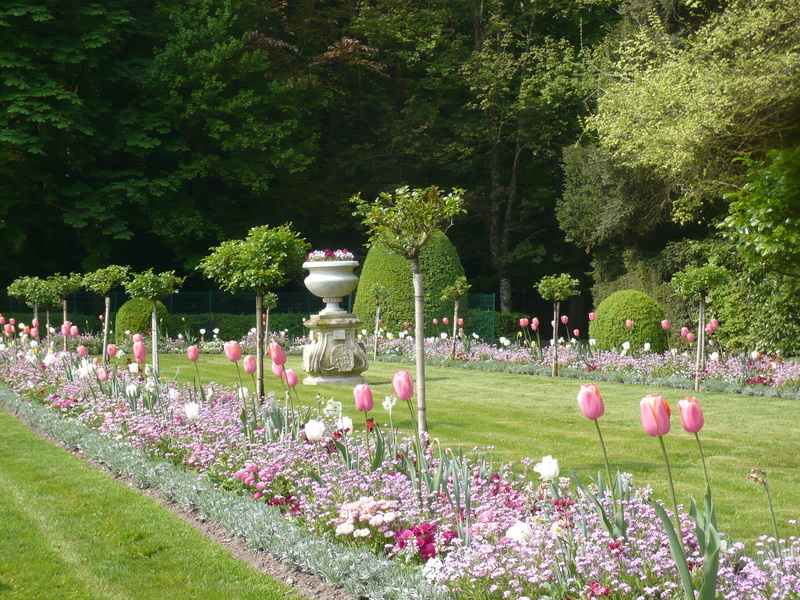 And outside, gardens await, just as they did when Diane de Poitiers reigned here. 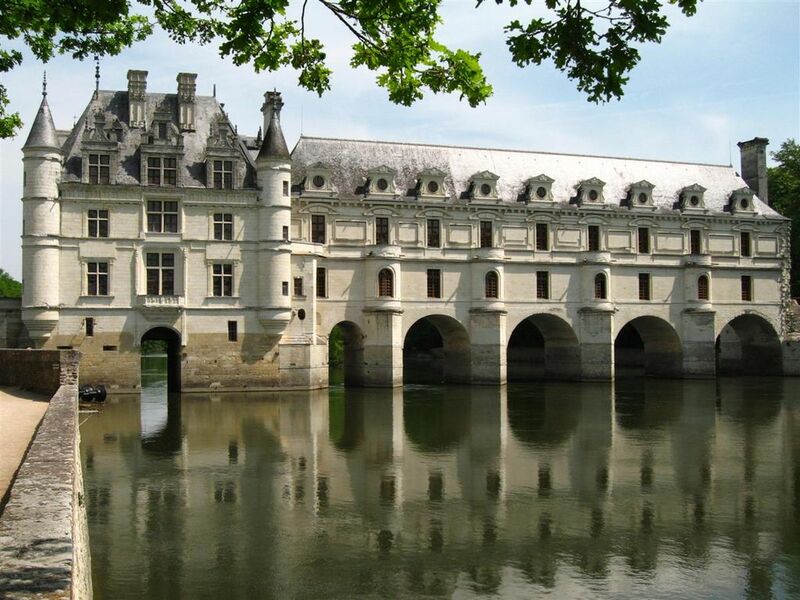 Chenonceau’s most illustrious occupant was Diane de Poitiers, a beautiful and cultured noblewoman who was the longtime mistress of King Henri II of France. 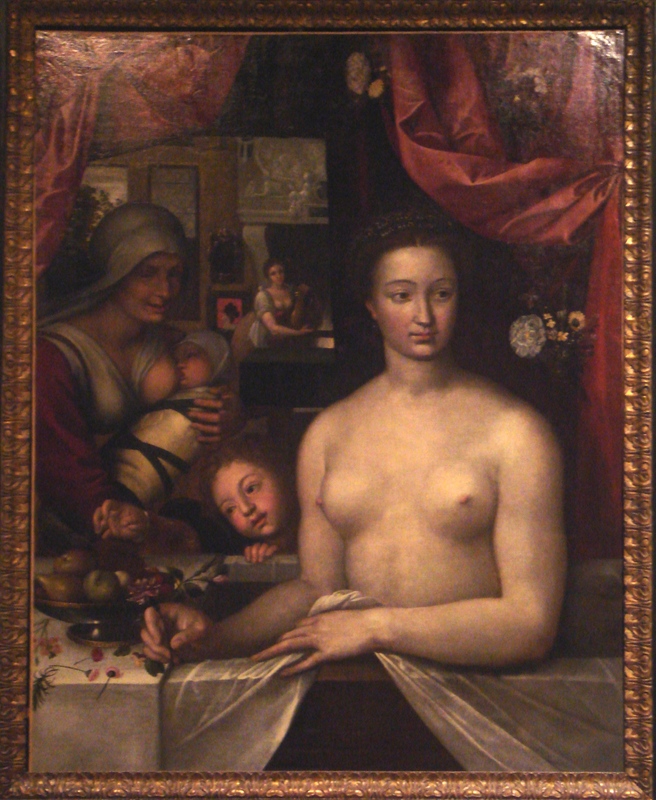 In the portrait above, she is pictured as Diana, goddess of the hunt. 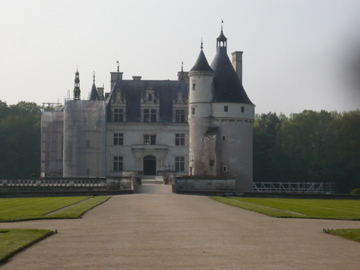 This entry was posted in Architecture, Castles and Palaces, France, Historic Homes, History and tagged Chateau de Chenonceau, Diane de Poitiers, Nazi-occupied France, River Cher, Vichy France on June 14, 2015 by Claudia Suzan Carley.